I've gotten a few pretty random requests lately for what to pop next, with no two people asking for any one toy. 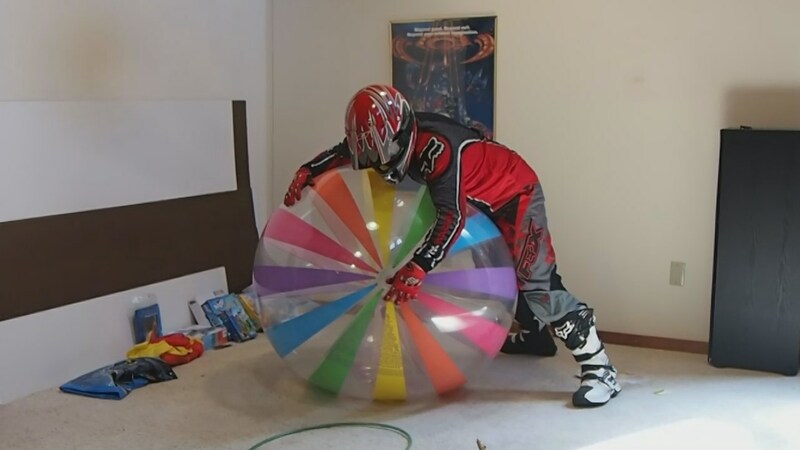 So, I decided I'd pick between the things that were requested, and ended up popping a big Intex beachball, partly because I haven't done anything like that in a while. I enjoyed myself a lot, and I couldn't believe just how big the beachball got before it popped! I also forgot how much fun it is to "play" with big beach balls. I think the video makes it obvious... 🙂 I wore one of my sets of Fox Racing MX gear, because somebody had commented recently that they'd like to see it again, and I think it looks hot. As usual, hope you all enjoy! Somebody also commented recently that they didn't know exactly what I had left in my Toy-A-Week popping pile, so here's a shot of what's still to come. Feel free to comment and let me know what you'd like to see get popped next time! Lastly, because I've had a few people ask if they could get the remains of my popped toys, I've setup a page with info on on how to do that. It's first-come, first served, and you will pay actual shipping cost to your address. If you don't see it listed on the page, I either don't have the toy any more, or ArmoredLooner has claimed it for his own collection. 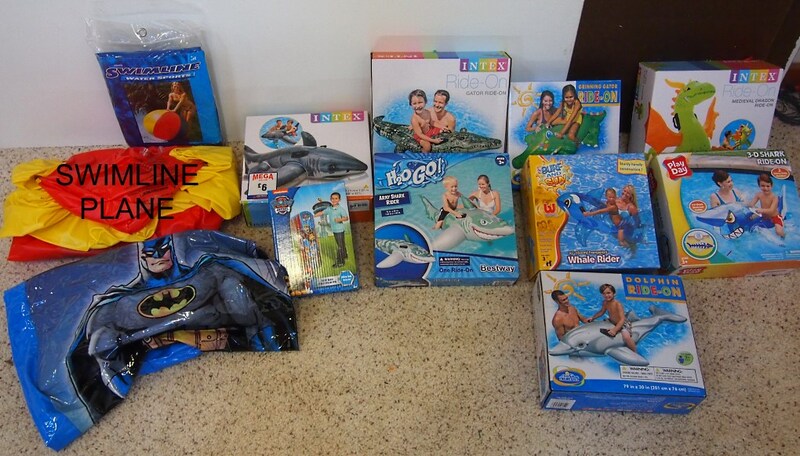 You can find the page here, or by clicking the "Used/Abused Toys" link at the top of the page. This entry was posted on Wednesday, July 5th, 2017 at 2:58 pm by Mr. MotoX in the category Videos. + Show - Hide 8 comments on "Toy-A-Week #19: I’ve Got Big Balls!" That Fox gear is HOT!! You rode that bad boy pretty hard and I can’t believe how big it got. Too bad you didn’t get to finish it off under a full press with your stiffy. Hope you land that job so you can stay in the saddle and wreck those toys. I’d like to see the croc or plane next please. Awesome job there. That beach ball got huge. Too bad you couldn’t ride and pop it there at the end. However I love the gear it looks amazing. Can you do the Camo gator next in BDUs? Hottest video yet! Can’t believe how big that ball got and then you had to beat it to death! Please do another riding to pop. So exciting to see the ball get bigger and bigger, not knowing when it will explode. Can you stretch one that big for me, without exploding?